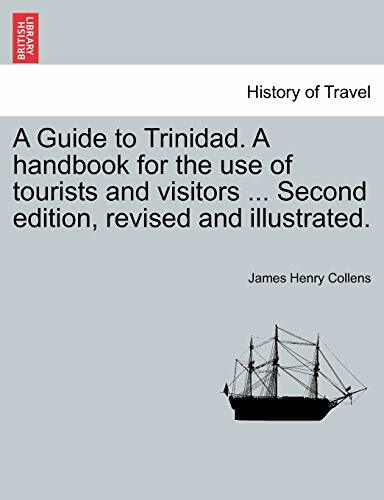 James Henry Collens A Guide to Trinidad. A handbook for the use of tourists and visitors ... Second edition, revised and illustrated. A Guide to Trinidad. A handbook for the use of tourists and visitors ... Second edition, revised and illustrated. Title: A Guide to Trinidad. A handbook for the use of tourists and visitors ... Second edition, revised and illustrated. vi. 287 p. ; 8º. 3. A Guide to Trinidad. A handbook for the use of tourists and visitors . Second edition, revised and illustrated. 4. A Guide to Trinidad. A handbook for the use of tourists and visitors . Second edition, revised and illustrated. 5. A Guide to Trinidad. A handbook for the use of tourists and visitors . Second edition, revised and illustrated. 7. A Guide to Trinidad. A handbook for the use of tourists and visitors ... Second edition, revised and illustrated. 8. A Guide to Trinidad. A handbook for the use of tourists and visitors ... Second edition, revised and illustrated. 9. A Guide to Trinidad. A handbook for the use of tourists and visitors . Second edition, revised and illustrated.